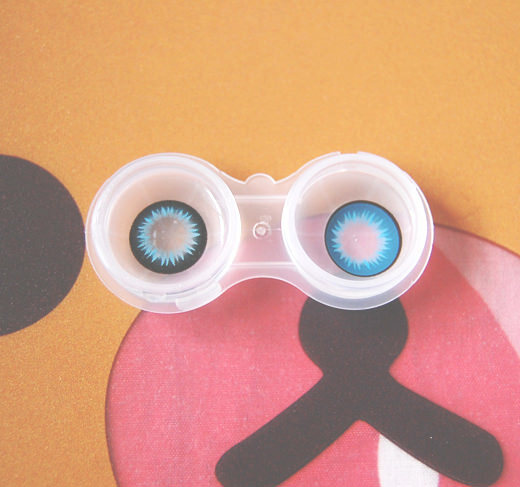 Last week, I ordered a pair of graded Crystal lenses from one of the most trusted contact lens shop I know, GWYSHOP. 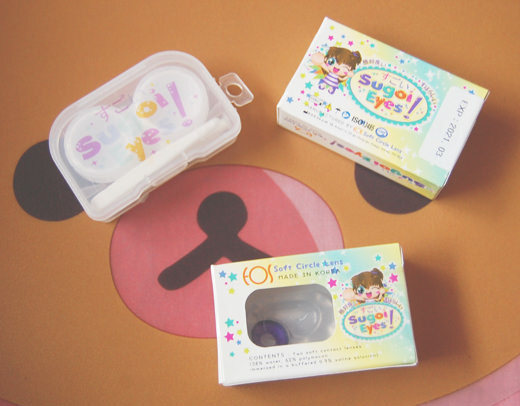 Ate Dona, the owner, was kind enough to sponsor me another pair of lenses from their very own brand of EOS lenses "Sugoi Eyes" to review and share with you guys. I was sent a pair of their Sugoi Eyes neko series with the color and grade of my choice. 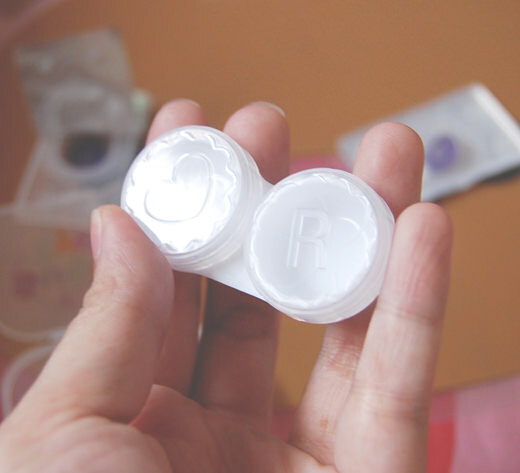 Instead of the usual glass vial, they come in blister packs and includes a pair of contact lens case and applicator. I appreciate the applicator so much for it makes the application easier and safe than using bare fingers. Here's how it looks in the case. 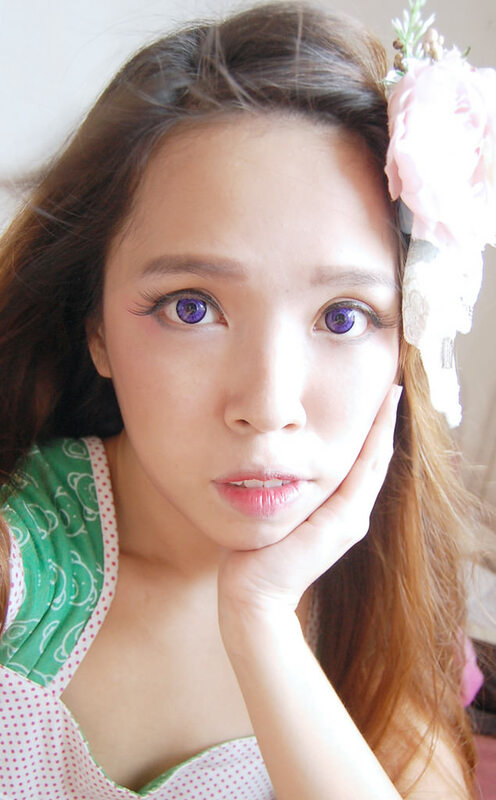 Personally, I'm not a fan of bright colored contact lenses but I'd recommend it if it's your thing. 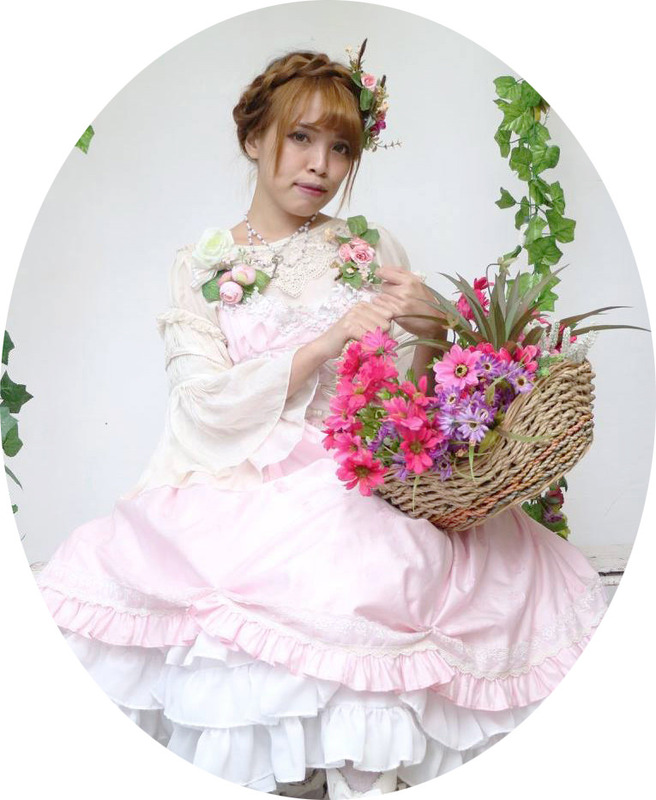 Good for cosplay and photoshoots since the colors really pop on photos. I like the heart detail. hehe. The size of this series is 14.2mm. I have big eyes so it doesn't really have that 'dolly eyes' effect on me which is what I primarily look for when it comes to contact lenses. But as you can see, the colors really pop when worn. Next review is my order, Crystal Ruby in blue. I like this brand because it's great for daily wear. And since it's a 14.8mm, it gives the dolly eyes effect on me. Compared to the previous selfie, I look younger here, right? It really makes a difference it's like my fountain of youth. hehe.. If you happen to attend a local convention, I highly suggest buying from GWYSHOP's booth for they sell the lenses on a lower price compared to online price. However, if you're like me with a terrible eyesight and plano lenses won't really work on you, you may pre-order on their website. They stock-up pretty fast! I got mine within a week.